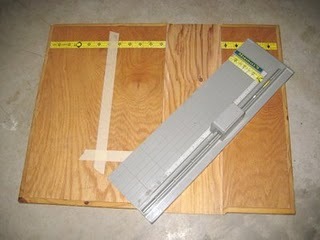 One of the forums on Etsy has inspired me to ramble a little about my favorite paper cutter. Years ago, being extremely frustrated with my Friskars paper cutter not cutting straight, I looked and looked for a better option. I decided to take a chance on one that I found in one of the smaller chains, and after some fiddling around with it, came to love it. I have spent the last few years wishing that I had a back-up in case something happened to mine, but hadn’t seen one like it since purchasing it. In adding my two cents to the forum on Etsy, I decided to once again do a search for my cutter (Marshall’s) and I see that an Amazon seller has them, Yay! Cheap, durable blades. These are razor blades. Buy them in small packs or by the hundred. They are also double-sided, so flip it over when they get dull. Cuts through mat board or chipboard in one pass. Even with a dull blade. Try that on another cutter. This can handle something like 20 sheets at a time. The sharper the blade, the more it can do. I have also cut through aluminum, fabric, acetate, cardboard… Try anything, the worst you can do is wreck one side of your blade. Hinged at the top. I constantly try to open my Friskars from the wrong side. I don’t know why I haven’t yet learned. It usually happens when I switch hands. I LOVE that you just lift this like a guillotine cutter. Safe. 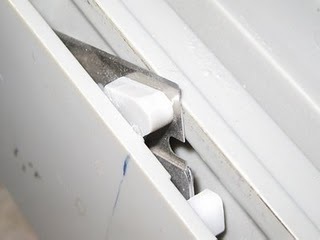 The blade is recessed in the top. My kids have been cutting stuff with this since they were 5. I change the blades though (once in a blue moon). Long lasting clean cuts. I mean that the blade lasts for a long time, the cuts do too I suppose… I only change my blade when I want extreme precision or have damaged the blade. Best of all, straight cuts. No more wavy lines. It did take some fiddling with (see cons). Took some fiddling with. There were some rough spots where the cutter got hung up a little and resulted in uneven lines. I lightly sanded, tested, lightly sanded, tested… Use the finest sandpaper you can find. I finished with a bit of wax to really smooth out the glide, and it works much better. No ruler along the top or that flips out along the side. 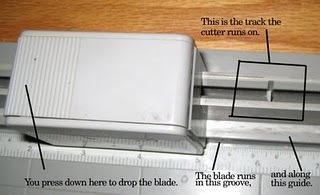 There is one along the cutting edge, so you can measure, mark, then line up your cut on your mark. Flimsy plastic. The cutter flexes and gives an uneven or wavy cut if it is not supported 100%. No more cutting in bed. The little feet fall off. I just stuck on some foam squares. Not quite as pretty, but it works. Or you could just remove all the feet to even it up. My husband took a scrap of wood and cut it to the size I wanted for a work surface (17 inches x 21 inches or so), and cut a groove in it the size of the cutter, and to a depth that allowed it to sit perfectly flush with the board. This allowed me to drop the cutter in when I wanted, and take it out if I wanted. 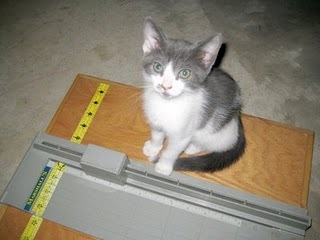 It also allowed me to use the cutter on softer surfaces like the carpet and bed. My husband vetoed the cutting in bed though… You could also start with a base of a thin plywood and add additional pieces of plywood on either side of the cutter to create a groove by adding rather than subtracting. Use some glue and small screws to hold together. I applied an adhesive measuring tape to the board and cutter, then I cut it along the edges of the cutter to keep the cutter free. I put masking tape along the position of my most frequently used cut. When I switch projects, I can just remove and apply new guidelines! I sanded and waxed the track and guide until I got it gliding well enough that it didn’t hang up. I added a marking on the cutter to show where the tip of the blade drops down and begins the cut. Overall, there have been some drawbacks to this cutter, but I am so happy with it now. I have wished for the chance to buy a back-up, and now, I just may do that.